Busy, busy, busy – are we! 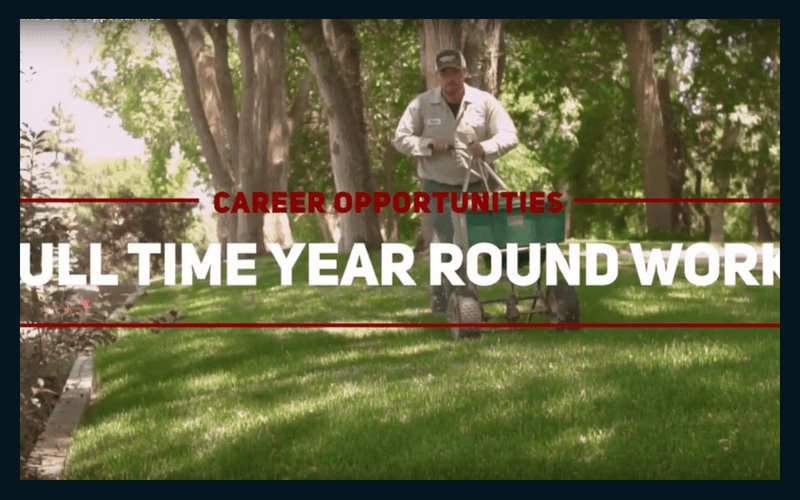 Heartland Lawns™ is always looking for great people to join our team. We’d like to talk to you if you have a strong work ethic, strive for excellence & enjoy the outdoors including putting in a lot of foot miles. Give us a call today to inquire about employment opportunities. Meets with existing customers within a route to perform maintenance and repair of irrigation systems. Makes recommendations to customers on additional products or services and/or identifies a potential problem with diagnosis and remedy. Follows through with customers until all issues are resolved. Works with the Owner / General Manager to optimize production efficiency and ensuring the highest level of customer service. Works with the office staff to effectively service our customers. Drives to potential customers’ homes to meet with them for service calls. Builds rapport and delivers the highest level of customer service. Responds to customer’s requests and complaints, making appropriate recommendations, and advise customer on how to improve their irrigation systems. Demonstrates expertise in installation, maintenance and repair of irrigation systems and related components including irrigation lines, sprinkler heads, controls panels, valves, pumps, etc. Optimizes the resources of the company by managing work flow, ensuring you have the tools you need to deliver an excellent customer experience. Perform seasonal maintenance within a route of irrigation systems for turn ons and blow outs. Ability to lead, organize and manage time and co-workers on irrigation projects and other work as needed. Performs other related duties as requested or assigned by management. Cross trains in other departments for back-up support. Knowledge of irrigation industry and related principles and practices. Ability to operate equipment such as trenching machines and digging tools and other related grounds/landscape equipment. Ability to motivate, guide, and direct others to produce expected outcomes. Two (2) years irrigation installation and maintenance experience preferred; or an equivalent combination of education and experience to illustrate a proven track record in the business field. Understand and apply a variety of lawn care products including (but not limited to) fertilizers, herbicides, fungicides, and insecticides. Ability to find address throughout the city of Omaha and surrounding areas. Comply with all Heartland Lawns’ policies and procedures. Working knowledge of lawn care products and common lawn problems (including weeds, fungus, and insects). Current Nebraska Department of Agriculture Ornamental & Turf Pesticide License or obtain one within 60 days of employment. Ability to lift and carry up to 60 lbs repeatedly throughout the day. Provide outstanding customer service in order to maintain customer retention levels. Safely operate company vehicle, aeration and over-seeding equipment. Maintain residential or commercial property by performing routine aeration and overseeding tasks. Provide general lawn care maintenance as needed. No DUI Convictions within the last 5 years. Some overtime and Saturdays required. Experience with aeration equipment is a plus, but not required. $10 to $14 per hour depending upon experience. Respond to customer’s requests and complaints, making appropriate recommendations, and advise customer on how to improve their lawn. Supervise the training of lawn care technicians. 5+ years experience in lawn care, with detailed knowledge of lawn problems. Ability to lead and organize. Valid Drivers License, with clean driving record. Detailed knowledge of lawn care products and common lawn problems (including weeds, fungus, and insects). Current Nebraska Department of Agriculture Ornamental & Turf Pesticide License .